Sixteen year olds aren’t supposed to die, but sometimes they do. Giselle and Isabelle Boyer are as alike and different as twins can be. Isabelle is the creative flute playing twin, while Giselle is the more analytical of the two. From birth their parents have encouraged their individuality, insisting that they be placed in different classrooms, wear different clothes and have different sets of friends. A fatal car accident on the way to Isabelle’s flute recital leaves the already fragile Boyer family fractured. Through error, the hospital believes that Giselle is the deceased twin. However, it’s Giselle that has survived, but is unable to communicate with them. Imagine being trapped within your own body while doctors and medical students observe you and talk about your twin as if 1) the twin they’re discussing isn’t really you and 2) wondering where your parents are. Giselle uses her time in the hospital to reminisce on her childhood with Isabelle and family and friends. Edwidge Danticat’s love of her native country is always apparent in her writing and I love how she weaves in the Boyer family’s life in Miami with their return visits to Haiti. We learn of how Giselle and Isabelle loved spending time at their grandparent’s house and how their parents first met as students in Haiti. Explorations of friendships, boyfriends, things that teens dwell on, swirl around in Giselle’s head as she lies in bed and even after she’s released. What she doesn’t explore, at least in my opinion, is grief. We don’t see the denial and anger that often comes with grief, perhaps it’s muted, but we see her parents act out. We see Giselle push people away, but her grief is a bit underwhelming and not what I would expect from someone that’s lost a sibling, let alone a twin. That would be the only misstep from the author that I can find, though it's not my place or anyone else's to tell someone how to grieve. 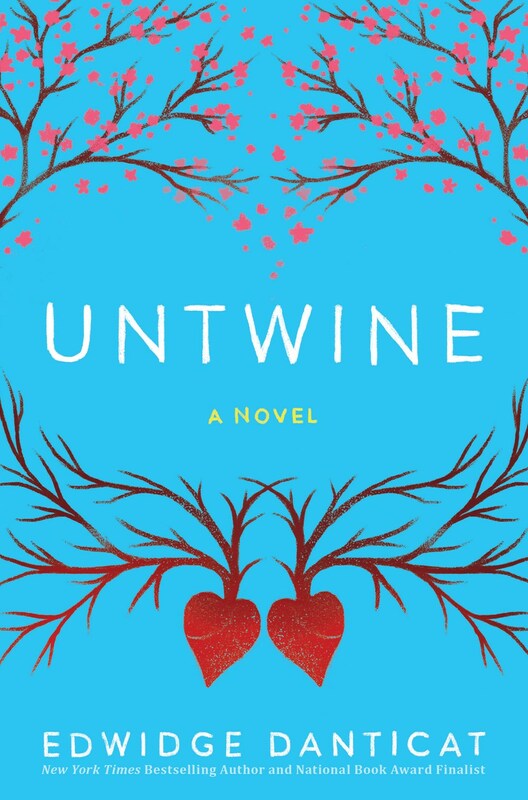 Untwine is meant for the Young Adult (YA) reader, but it’s easily relatable for adults. Fans of Danticat’s lyrical writing will appreciate this read.